Vera Bradley Free Body Butter Offer! 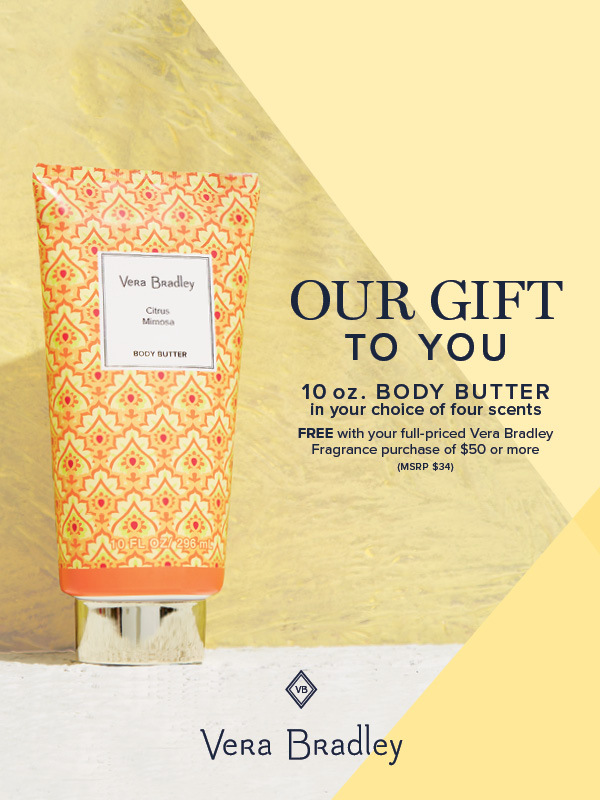 Receive an exclusive 10 oz Body Butter in your choice of four scents ($34 value) with any full-priced Vera Bradley fragrance purchase of $50 or more! Promotions cannot be combined. While supplies last. FREE Brighton Be My Love Necklace! Free Brighton Sweet Heart Tote!